madeleine brown handmade: Why I'm Not a Domestic Goddess. Why I'm Not a Domestic Goddess. 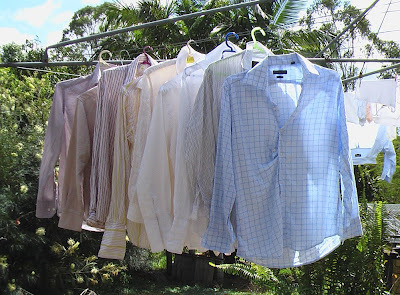 It just takes so damn long to arrange a Business Shirt Colour Gradient these days. you've done a fantastic job. hey - at least they're not all pink! !